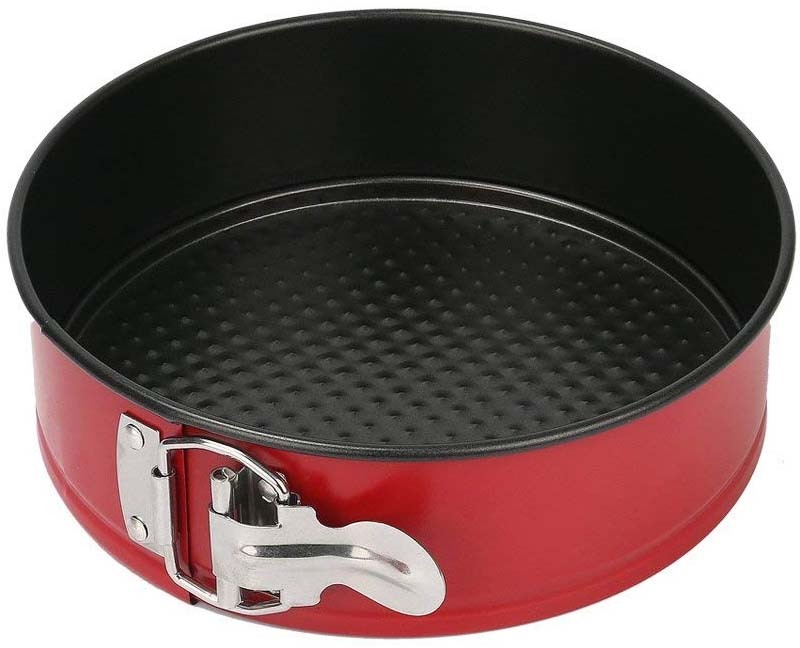 This is exactly the model that I have – I’m partial to the red color 🙂 But if you’d like a standard one, here’s the link to 7-inch springform pan in Black. So the way it works is you pour 1 cup of water into the inner pot of the Instant Pot, then put a trivet in the Instant Pot (the metal rack that comes with the Instant pot) with the handles up, and then put the 7-inch springform pan (with the food that needs to be cooked in it) on top of the trivet. 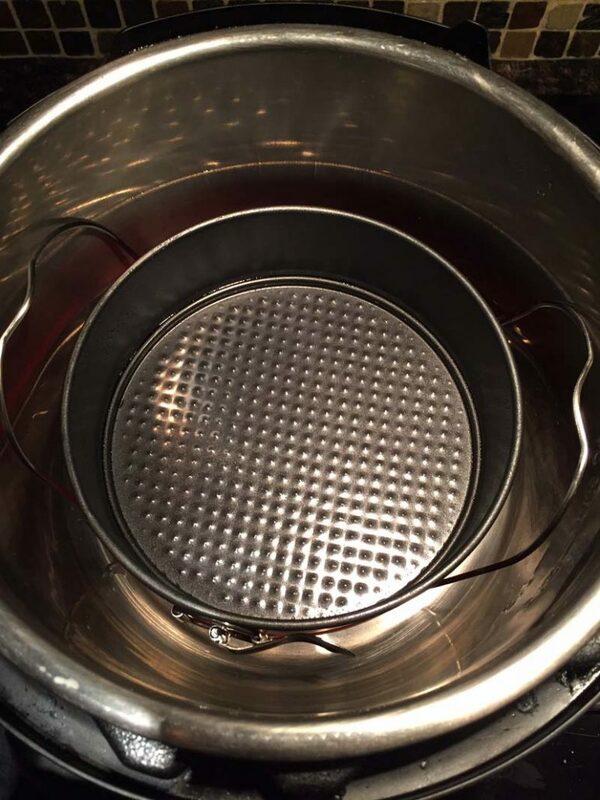 Then pressure cook per recipe, and once it’s done cooking you can grab the handles of the trivet with the heatproof mitts and lift the trivet together with the springform pan out of the Instant Pot. What’s cooking on the picture above? 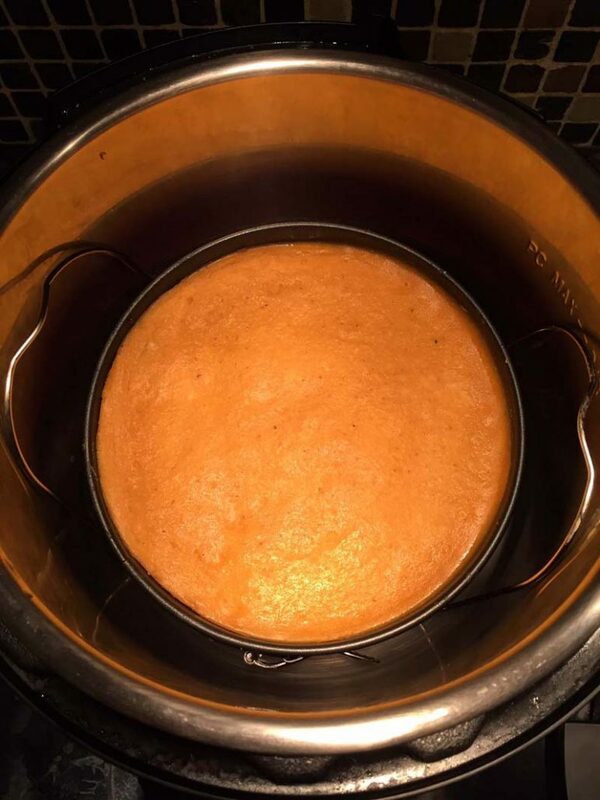 Instant Pot pumpkin cheesecake! 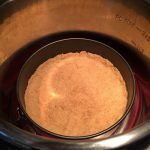 Instant Pot Pumpkin Cheesecake – this cheesecake is so easy to make in the Instant Pot, always comes out perfect and tastes amazing! Instant Pot Banana Bread – so moist and tender, this banana bread is a perfect way to use up that overripe banana! 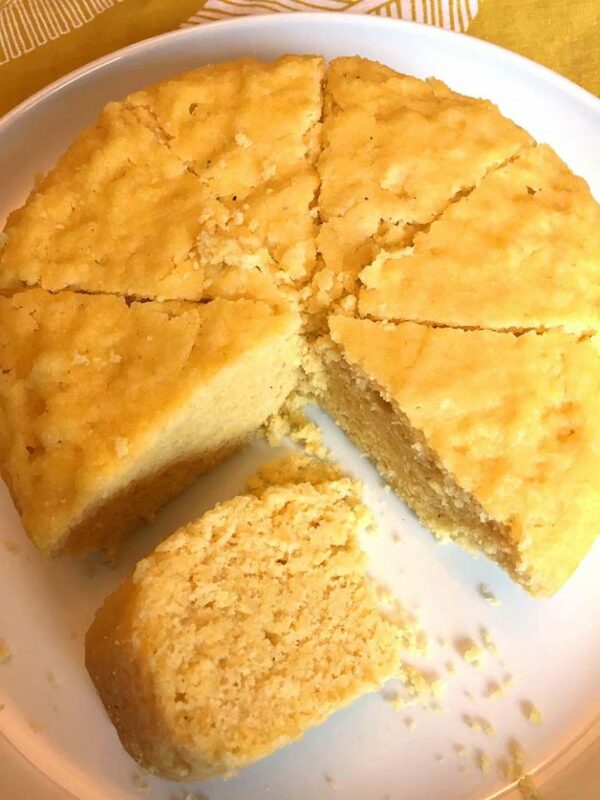 Instant Pot Cornbread – this cornbread is tastes mouthwatering, perfect for holidays! 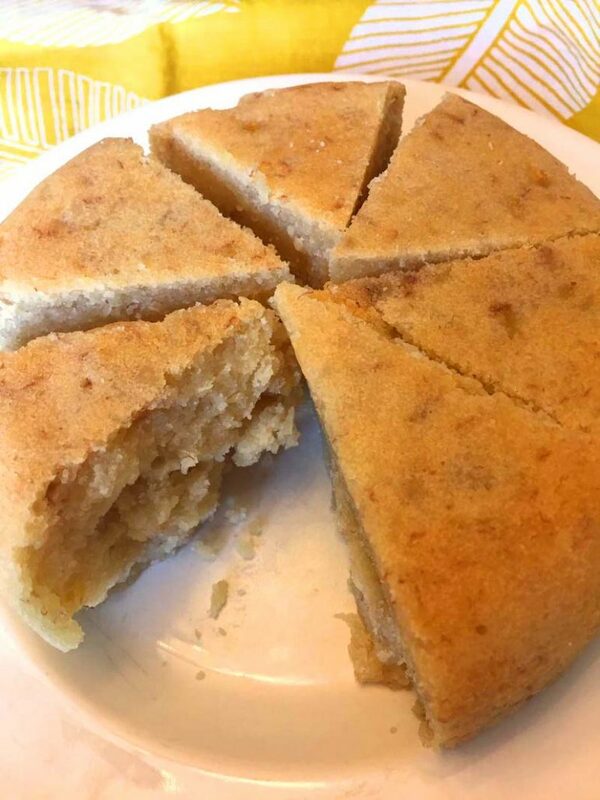 Want to make pies in the Instant Pot in a classic pie shape as opposed to springform? 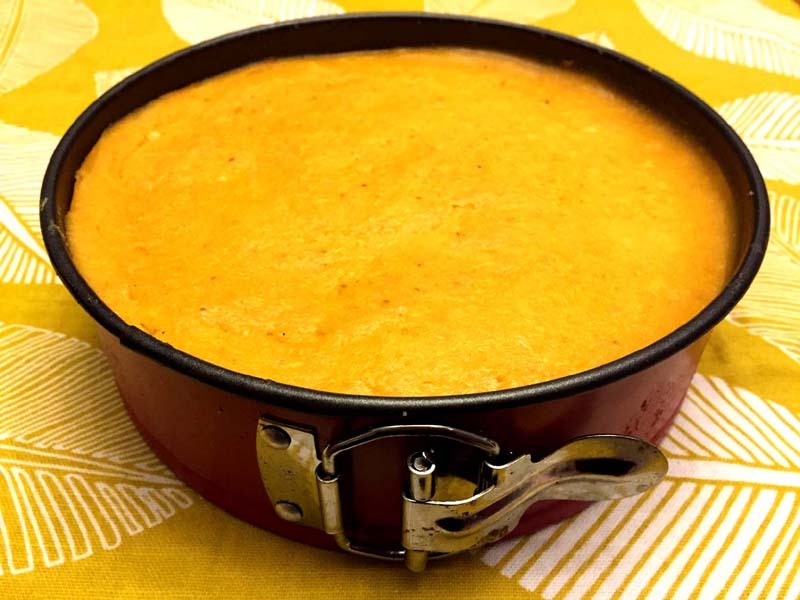 Then you also need an Instant Pot pie dish! 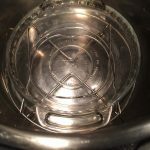 This 6-inch classic glass pie dish fits perfectly inside Instant Pot, click here for my article on it with more details. 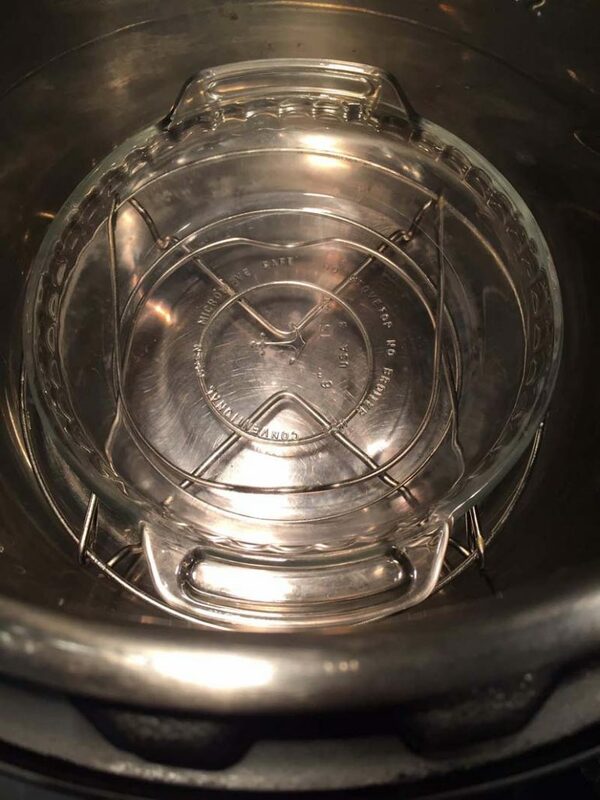 In addition to this Instant Pot springform pan, I also own an Instant Pot Pyrex bowl. 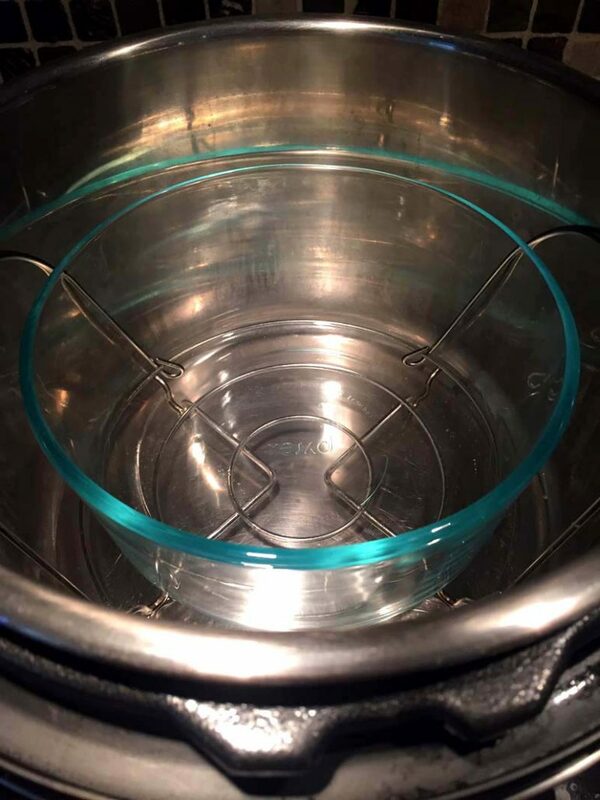 For more info read my article on Pyrex bowl that fits inside the Instant Pot. The difference is that the springform pan has a removable bottom while the Pyrex bowl is just a bowl 🙂 The bonus of the bowl – you can just throw it in dishwasher and you can also use it to store leftovers. 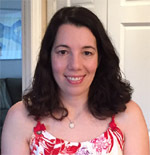 Both come very handy as you discover more amazing pot-in-pot recipes for the Instant Pot!